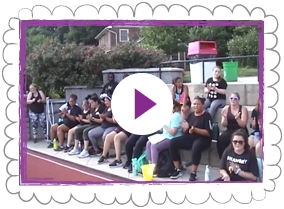 Please take a moment to watch our video and understand what makes Camp Pennbrook so different from other weight loss summer camps. We are proud to be the only exclusive girls weight loss camp in the U.S. But more than that, we are proud of the supportive, non-judgmental, challenging, safe and healthy programs we offer our girls. The individualized attention they receive at camp really spells success for each and every young woman who enrolls. So, sit back and enjoy this small bit of what your daughter can expect at Camp Pennbrook. Don’t forget to visit our summer scrapbook page for some wonderful shots of the girls at camp.